I visited the Contented Cow the other night. 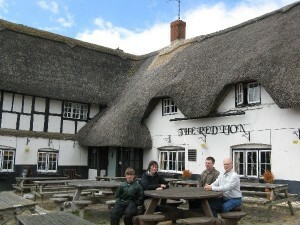 It is our local British pub, and the next best thing to being at a pub in the United Kingdom. 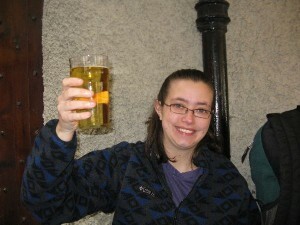 I had a great time, and it gt me reminiscing about the great pubs that we visited on our trip to the UK in June of 2011. I LOVE a real pub. The food is awesome and cheap (the bestest, cheapest food to be had in the UK, in my opinion!) 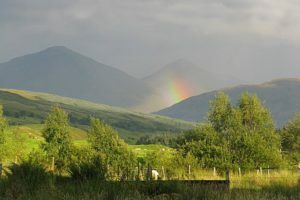 and the atmosphere is generally warm and comfortable. Pubs are an easy place to relax after a long day of sightseeing. 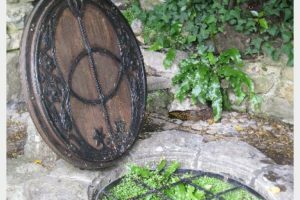 In honor of my great love of real pubs and English cider, here is a recap of our favorite pub experiences. Do you love traditional pubs? Please post your favorite pub experiences i the comments below. 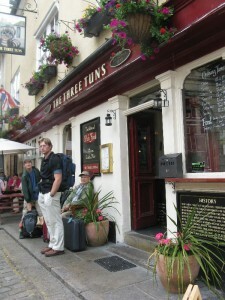 Outside of the Three Tuns Pub in Windsor. 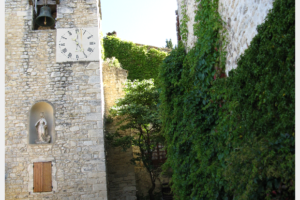 This pub was built in 1518, and it was a pleasant place to enjoy an afternoon repast. 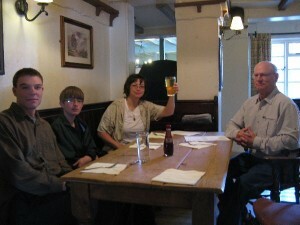 Our first f many pub lunches after arrival in the UK. 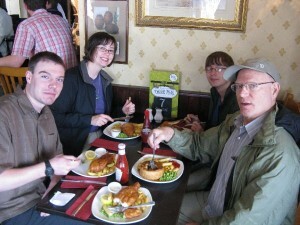 The fish and chips were good and the meat pie was good, as well. I don’t drink beer, but I do love hard cider. 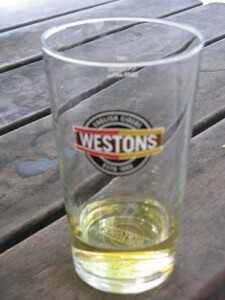 Weston’s is by far my favorite brand of English Cider!